Wallaroo is a fantastic location to check out, with a good little selection of available hotels. There are 2 located less than 5 kilometres from the city centre. The Wallaroo Marina Apartments and The Anglers Inn are just a few of several excellent accommodation options that are not far from all the main areas. You should think about securing a room at the Port Hughes Tourist Park, 19 kilometres from the city's heart. 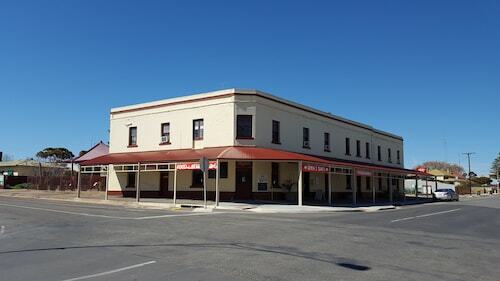 If that doesn't suit you, try the Kadina Gateway Motor Inn, 10 kilometres away. You'd have to be a goose to leave Wallaroo without doing some exploring in Clare Valley - Yorke Peninsula. Check out the farms and open-air markets in Clare Valley - Yorke Peninsula, or simply admire the region's lovely rural landscapes and beaches. More active tourists may try shore fishing. The nearby cities of Boconnoc Park and Armagh are certainly worth exploring. Boconnoc Park is 85 kilometres to the east of Wallaroo, while Armagh is 90 kilometres to the east. Boconnoc Park hotels include the Brown's House Bed and Breakfast and Patly Hill Farm. The Comfort Inn Clare Central and Clare Country Club are some of the choices in Armagh. Located 100 kilometres away from Wallaroo is Whyalla Airport. Stay nearby at the Best Western Alexander Motel Whyalla or the Airport Whyalla Motel. How Much is a Hotel Room in Wallaroo? 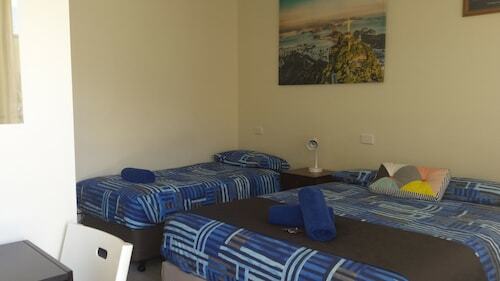 Hotels in Wallaroo start at AU$64 per night. Prices and availability subject to change. Additional terms may apply.